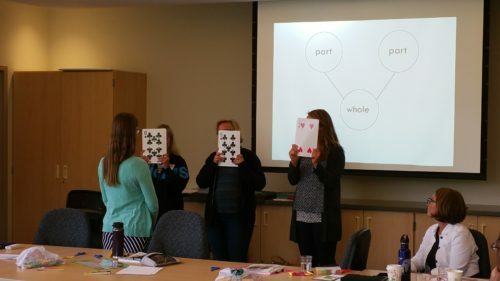 How do I use the materials with my Singapore Math curriculum and fit it all into an hour math block? First off, kudos to your school for setting aside an hour math block for your youngest learners! 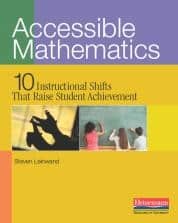 Through math instruction, students will gain the skills and thought processes necessary to solve problems. Math needs to be given a priority in the schedule. Following is one of my favorite quotes from Dr. Yeap Ban Har, author, and contributor to several Singapore Math style curriculum. What should I include in my lessons? How much time should I spend on each component? What does each component consist of? A deliberate and carefully planned reliance on ongoing, cumulative review of key skills and concepts. As you teach concepts, you will want to include them in your ongoing cumulative review. 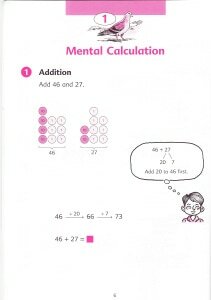 With such an emphasis on mental math strategies and the development of number sense, mental math should play a major role in your daily review. Comment below with your questions or concerns about structuring your math day! Reflecting on my time at the two national math educator’s meetings, one interesting dichotomy appeared over timed fact tests. On the one side was Jo Boaler stating that timed tests are the root of math anxiety. Pushback came from others, most notably Greg Tang and Scott Baldridge pointing out that kids are timed in real life. They are put under pressure in real life. Students should learn from these experiences, not freak out over them. It’s a powerful discussion: How do we get kids from fluency (I can use strategies to solve 7 x 8) to automaticity (I just know 7 x 8)? 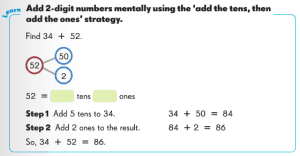 Do we need to get them to automaticity? 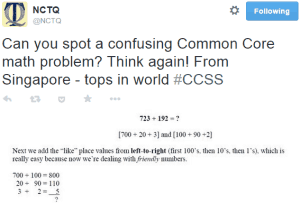 Do timed tests create math anxiety? Is there spelling test anxiety? Should the key anxiety word be “test”, not “math”? Yep, I’d be worried if kids who couldn’t make connections were timed, too. I’m a proponent of Math Sprints; thoughtfully structured timed tests designed to practice one skill. Sprints are not your typical timed test. Students compete against themselves to improve the number of problems completed in one minute. Then the sprints are thrown away, not recorded in a grade book. They are practice. Period. And just one way to practice math facts. Do Sprints harm students or cause math anxiety? Not when administered correctly. I work with a school for students with ADHD and learning disabilities. Initially, teachers there said things like, “I can’t time my kids, they are slow processors”. It turns out that students at this school LOVE sprints. They can always improve by at least one problem on the second sprint. With all the content flying at them, practicing facts is one thing they can do and feel successful with. 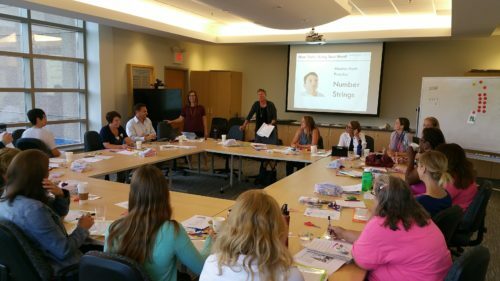 Allison Coates runs the non-profit Math Walk Institute that works with schools and students to build a bridge to Algebra. In every school we’ve ever worked, nearly all students enjoy sprints. They don’t see them as tests if the teacher doesn’t present them as tests. They see them as another fun game they can play against themselves (or against the teacher). Practice makes permanent their knowledge, and students love knowing they have knowledge. Knowledge is power. Nope. Sprints were created by Dr. Yoram Sagher as a fluency program to work with any curriculum. I’ve considered them a way to compensate for differences between Singapore and the U.S. 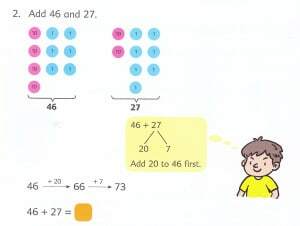 In Singapore, parents drill fact fluency while schools teach the conceptual understanding. 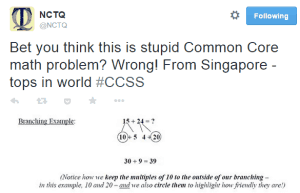 It’s not unusual for a first grader in Singapore to know all their math facts. It’s the school’s job to then get the understanding of multiplication into such a student. Contrast that with the U.S., where it is less likely that parents practice math facts at home with their child. Few American programs include a fluency component, often farming it out to the web or an iPad app. Scott Baldridge has a great blog post on sprints: Fluency without Equivocation. I suggest you read it now. 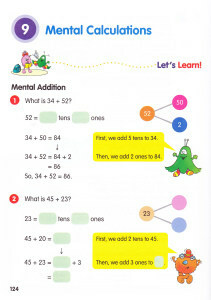 My favorite Sprint books are Differentiated Math Sprints as they offer two difficulty levels with the same answers. Eureka Math Sprints are aligned to Eureka Math (referenced in Scott Baldridge’s post above).